Lavazza, in collaboration with Goglio Cofibox SpA, modified the packaging for Crema e Gusto coffee in the 2x250g size, as well as the wrapping for the two packages. 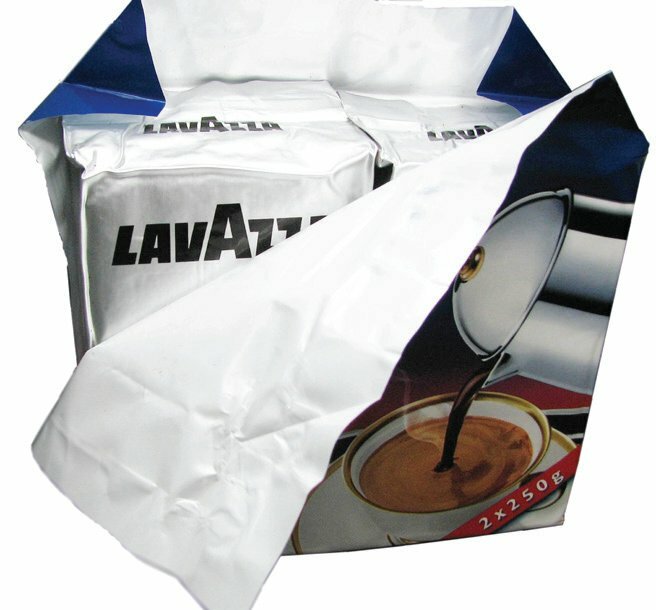 The package in direct contact with the coffee is composed of a plastic and aluminium composite, for which the quantity of ink used was significantly reduced thanks to the use of generic packaging, while maintaining the same protection for the product. The wrapping that encloses the two packages of coffee was initially composed of a plastic and aluminium composite, but is now composed of multi-layer plastic. The reduction in inks and materials used for the packaging reduced its environmental impact as demonstrated in the graph.